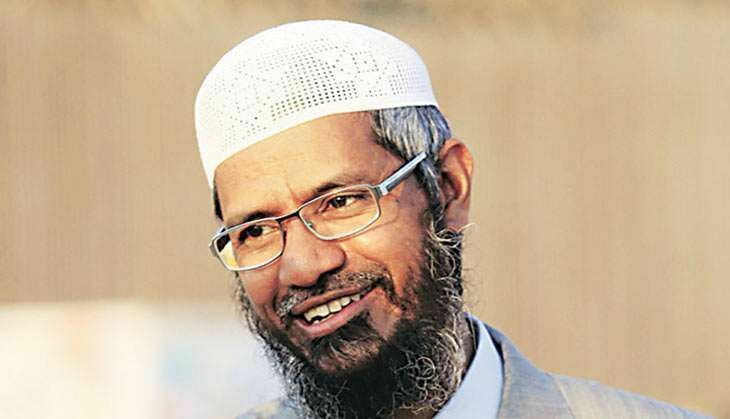 Two of controversial preacher Zakir Naik's aides have been booked by the Mumbai police. Arshi Qureshi - an employee of Naik's Islamic Research Foundation (IRF) - and Rizwan Khan - were booked for forceful conversion and radicalisation. The two are currently under the custody of the Kerala police. A case has been registered at the Nagpada police station against Qureshi, Khan and two others, based on a complaint lodged by the father of Ashfaque, one of the 21 youths from Kerala reported missing and suspected to have joined the Islamic State. They have been booked under Unlawful Activities (Prevention) Act and IPC section 120-B (criminal conspiracy), he said. In a joint operation by Kerala Police and Maharashtra ATS, Qureshi was nabbed from Navi Mumbai on July 21 for allegedly radicalising youths. The Kerala police traced Qureshi to Mumbai following a complaint lodged in Kochi by the brother of a young woman, suspected to have joined ISIS along with her husband and left the state. Ebin Jacob (25), brother of Merin alias Mariam who is missing along with her husband Bestin Vincent alias Yahia from Kerala, had told Palarivattom police in Kochi that there was an attempt to forcibly convert him to Islam and make him join ISIS, and that Bestin and Qureshi were behind it. In a similar operation, Khan, also allegedly instrumental in recruiting youths to terror outfit ISIS, was apprehended from his residence at Kalyan in neighbouring Thane district on July 22. At least 21 youths from Kerala were reported missing and suspected to have joined ISIS. Qureshi had been taken to Kerala after a Mumbai court granted his transit remand.